Dance Company, Ltd. is a family oriented school located in Metairie, Louisiana. It was started in 1981 by Kathy Litchfield and is run today by Debbie Mouney Broussard and Danielle Broussard Romaguera. Dance Company, Ltd. is a family oriented and child centered dance school. 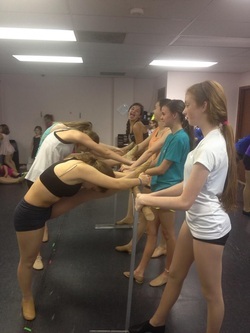 Students learn the fundamentals of dance in a loving and fun environment.